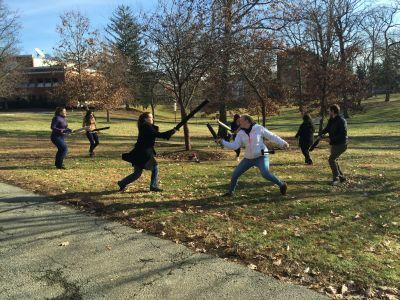 On the last day of the semester, I took my ENGL 115 H: Literatures of the Fantastic class out to do a little live-action role-playing and padded weapon fighting. 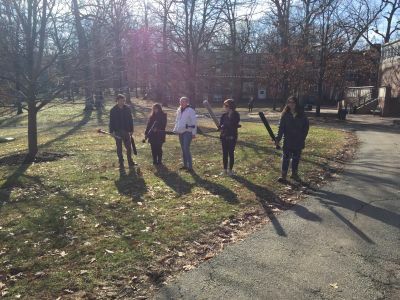 They spent the semester reading literature from Homer to Harry Potter, as well as watching two documentaries about LARPers. Since we talk about the role and place and critical value of fantasy in American culture and about the stereotyping of LARP players, I thought it would be fun and illuminating to put them in someone else’s boots. 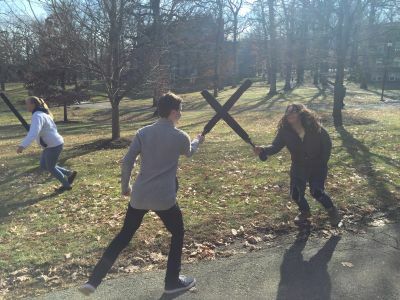 Though we only ran around the field behind Seminary Hall for an hour or so, I think everyone had a really good time. 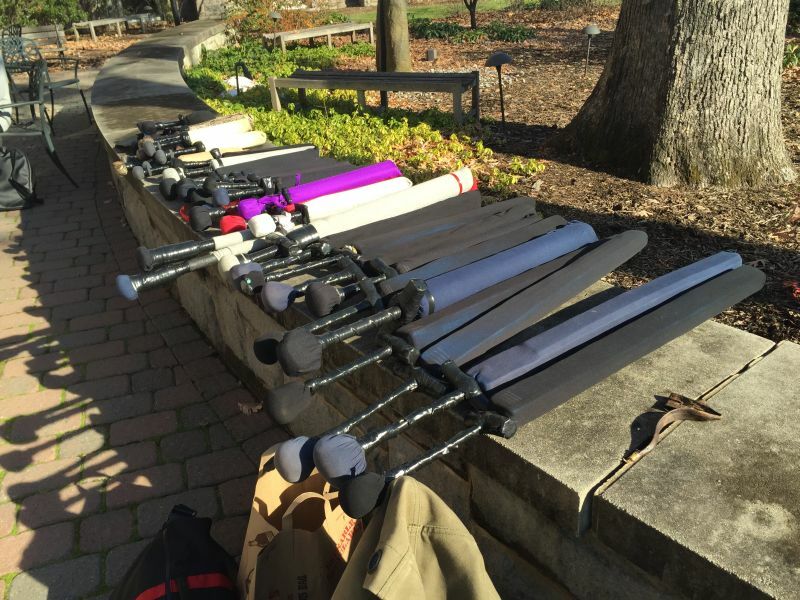 It makes me miss my LARP classes at the University of Washington. Maybe I will have to figure out a way to run a similar class at Drew. 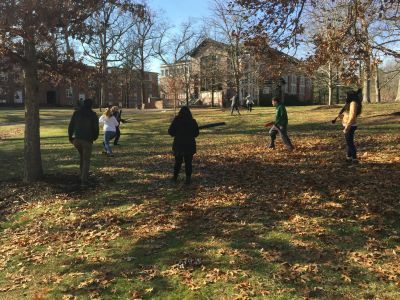 This entry was posted in #secondyearfaculty, Courses and tagged 115, Archaea, LARP, literatures of the fantastic, teaching with LARPs. Bookmark the permalink.